VWPP students are housed in the homes of Parisians, most of whom have housed our students successfully in the past and have received favorable reviews. They have all been visited and interviewed by the Assistant Director and are regularly monitored. The Vassar-Wesleyan Program in Paris fee includes tuition, room and partial board with your Paris host (a continental breakfast every day + 3 dinners a week) arranged by the Vassar-Wesleyan Program in Paris, and a meal stipend to cover meals that are not provided by your host, until the return of the group flight, at the end of the semester. Exception to program housing may be made only in the case of students who wish to live with a relative living in Paris. In such cases, students must indicate this on the housing form and contact the Director of International Studies (Wesleyan) or the Director of International Programs (Vassar) for permission. The cost of room and partial board will be deducted from the program fee in such cases. Students may not live together in an independent apartment. Full year students may be granted permission to arrange housing on their own for the second semester provided the student lives with native French speakers and if authorized by the VWPP director. We will reserve a specific housing situation for you based on your answers on the housing survey and your Skype housing interview, so please read the housing information below, and fill out the survey very carefully. Please disclose thoroughly your preferences and needs so that we can determine the best fit for you. A room in the apartment of a French person(s) is the most frequently available type of housing for American students in Paris. The VWPP provides this type of housing because it encourages daily student immersion in the language and culture of France. Every semester students say their spoken French and understanding of French culture have improved greatly mainly through daily contact with their French hosts, specifically through dinner conversation and daily interactions with their hosts at home. These situations vary widely but you will ordinarily be housed in a room in a two or three bedroom apartment with the other host members where you will usually have daily contact with them. You will have your own single room and access to the host’s bathroom, which you will share with other host family members. More rarely a private sink and/or toilet and even more rarely a private bathroom are available. You will also have access to a washing machine, kitchen privileges, an internet connection, and sometimes a landline phone, but you will not have unlimited access to them. After you use common areas you are expected to keep them clean, and keep your room in order. Students must be prepared to live in a French host situation and in all areas of the greater Paris area. They will be considered commuting students, with an average commuting time of 30 minutes one way. Paris has an excellent, extensive, and sophisticated public transportation system, which makes getting around very convenient from all areas. Students enjoy living in every corner of Paris and its borders and getting to know their own typical neighborhood well, wherever they may be situated. Unlike “homestays” such as a high school student might have with a host or exchange family, you will be welcomed as a paying guest in a room in a French home, and much of the contact you have will depend on your personality and efforts, and the personalities and efforts of the person(s) with whom you will be living. You are over 18 years old and will be accorded the freedom as well as the responsibilities of an adult. You will not have a curfew and will have your own keys to the host’s home. However, out of courtesy and for your safety, you need to keep the people you are living with informed of your comings and goings, especially if you will be out overnight or traveling. You will not be living in your own place and must expect to respect the house rules (etiquette, habits, cleanliness and neatness, manners, if you can invite friends in to visit for a few hours). You will not be able to house overnight guests. It is program policy to ask hosts not to house their students’ guests. Asking your host if it is possible will put them in an uncomfortable position, so we request that you refrain from asking. The more you are ready to adapt to your host family’s habits and rhythm for mealtimes, rituals, and use of space, the more you will be able to benefit from your relationship. You will find cultural differences between you and your French hosts. For example, most French people meet their friends and acquaintances outside the home, in a restaurant or café, whereas Americans tend to invite people to their home. Thus you may not invite friends to stay overnight and should limit inviting friends over to a minimum. If you wish to invite a close friend or relative to visit for a few hours, you should first ask your host and then introduce your guest to him, her or them. Some of your meals are provided, so you must be ready to try new things and make every effort to attend planned dinners and offer to help set and clear the table. Although you can ask to have a meal put aside for you occasionally if you let your host know in advance that you will not be there, meals that are missed are not refunded. In general, if you are ready to try new things and to adapt to French customs, living in a « chambre dans un appartement » can be a rewarding experience that provides an opportunity to observe and interact with French people, and helps you to improve your spoken French. VWPP students will have modified board plan: 7 breakfasts and 3 dinners per week are provided. This is often the solution for hosts who do not have the time to make a leisurely dinner every night, but still wish to have structured interaction with a student. It is also the most popular solution for students who may have evening classes, theater or opera evenings or other evening commitments, but still wish to share some meal times with their hosts. It is a good solution for students who can do some of their cooking and want to eat some of their meals out sometimes (student restaurants known as the “restau u”, inexpensive menus like Asian restaurants or “boulangeries”, or dinners out with friends). VWPP students receive a food stipend for their meals not provided by their hosts when in Paris. Read the above description and the residence commitment below. Fill out carefully the housing questionnaire on the VWPP database. Students will be interviewed by Skype by the VWPP housing coordinator. During the Paris orientation, students will attend a session dedicated to housing and intercultural questions where essential tips from past students and important information on daily issues will be provided to help you avoid many of the pitfalls and integrate successfully into your French housing experience. During this meeting and your first week in your homestay, you should make sure that you understand the conditions specific to your housing: room upkeep, use of the telephone, kitchen and bath facilities, and so on. We will give you a checklist of these specifics to your housing situation to help you when you arrive in Paris. Students and hosts agree to adhere to the VWPP residence commitment that you will find in the next section. Please read it carefully. We expect both students and hosts to adhere to the residence commitment. You should go over these sheets with your French host during your first week and ask the Assistant Director any questions you have about any of these topics. The program is available throughout the semester to serve as an intermediary between you and the homestay, but you are responsible for being informed about your housing specifics, respecting the house rules, and keeping the VWPP informed of any issues that arise in a timely fashion. The program purchases a renter’s insurance policy for students housed by the program, covering some losses or damage you may cause or incur, with a 150€ deductible at the student’s expense. Lost or stolen key replacements, and the cost of repairs for broken items not covered by the insurance, will be charged to the student’s account. Communicate her/his preferences to the hosts, honestly and thoroughly, from the beginning of stay, including discussing in detail her/his meal preferences, while doing his/her best to adapt to the host’s eating habits. Distinguish medical allergies or restrictions from personal customs and preferences to the host and on their housing questionnaire. Maintain the host informed of his/her activities (whenever there is an impact on the host’s schedule), such as the time at which the student will return in the evening, and any trips on weekends and holidays* . Greet family (“Bonjour Madame”) when seeing host/s for the first time daily and entering the home, and “Au revoir Madame” when leaving the apt. Protect his/her copy of the key. In case of loss or theft of the keys, the student will be financially responsible for changing all the locks involved and supplying copies of the new keys to each family member. The VWPP should be notified immediately and a locksmith certified by the VWPP insurance company must be used. Receive phone calls, if using the host’s phone, at reasonable times previously fixed with the family. Keep calls short. Hold late night calls or Skype discreetly so as not to disturb the household. Ask permission before inviting guests to the home during the day and respect the host’s guest policy. Overnight guests are not allowed. Make an effort to speak French whenever possible, to voluntarily engage in conversation and common activities with his/her host whenever possible and appropriate on a daily basis, use computer and cell phone in bedroom and not in common spaces. Student smoking is prohibited in host homes. Drinking or keeping alcohol is not permitted in students’ rooms. Appropriately welcome the student and take good care in getting to know him/her from the beginning of stay. Integrate the student into the family’s daily life and facilitate conversation as possible and appropriate, and speak only French with him/her. Communicate family’s habits and schedules to the student and inform how the house is run upon his/her arrival. Give access to a bathroom for daily shower or bath and define schedule use. Give access to kitchen for evening meals on days not taken with the host, and define schedule use. Provide a phone number or friends’ or relatives’ contact information in case of an emergency, particularly when the host is away from home longer than 48 hours. Inform the VWPP for absences longer than 4 days. Make sure all emergency telephone numbers are posted next to the phone easily available. Provide the student with a set of keys to the home. In case of loss or theft of the student’s keys, inform the VWPP immediately. A locksmith certified by the VWPP insurance company must be used if the host is to be reimbursed. Ensure laundering of the students’ clothes or give access to the washing machine with a clear use policy and show the student how to use the machine. Housekeeping: the students’ room will be cleaned by the host or cleaner, or kept clean by the student, in the same manner as the other members of the household. Inform the VWPP of absences longer than 4 days. If the family cannot ensure that the 3 meals per week be provided and eaten with a family member during their absence, ensure that these meals are then taken before or after their absence. Inform the VWPP of any changes in family composition. 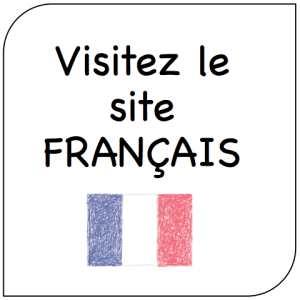 *VWPP students are required to fill out an online “formulaire de voyage” with itinerary details prior to travelling. When you have your password to the VWPP database: Please login to the VWPP administrative portal at https://data.vwpp.org to complete your general information and housing questionnaire. Should you change your mind about your housing preference, your eating habits, or any other significant information after you have completed your survey and before your arrival in Paris, you must send a message to the VWPP right away to housing@vwpp.org, so that adjustments to your placement can be made in advance. Lisa Fleury, the Assistant Director of the VWPP, will meet with you individually by Skype the semester before you arrive ; dates will be posted in March.